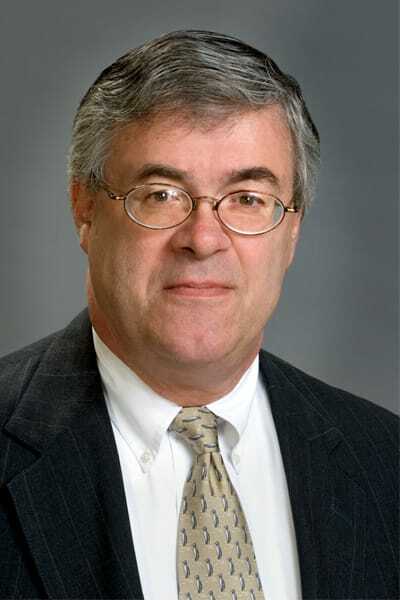 James R. Clippinger | Caldwell & Kearns, P.C. James R. Clippinger was educated at Muhlenberg College and Dickinson School of Law. He is a member of the Dauphin County, Pennsylvania, and American Bar Associations. He is admitted to practice before the Federal Middle District of Pennsylvania and the Third Circuit Court of Appeals. Mr. Clippinger was an attorney in the Dauphin County Public Defender's office for three years. He also served as counsel for the Pennsylvania State School Building Authority and the Pennsylvania Higher Education Facilities Authority. He concentrates in general litigation, commercial law, and all aspects of real estate law. Mr. Clippinger represents some local associations, as well as a number of local businesses. His clients range from real estate developers to software developers and most things in between. He also represents several out-of-state corporations. Mr. Clippinger is a lifetime member of Grace United Methodist Church in Harrisburg where he has served in several leadership capacities.